So with that kind of time gap between sequels, it would stand to reason that Pilotwings Resort for the 3DS is a brand new game- so... is it? The answer (like most things) is a hearty yes and no. 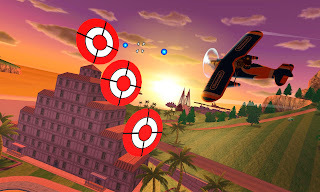 Resort definitely has a lot in common with the classic Pilotwings on the SNES in particular. There are a series of training courses that have your Mii (the game uses Mii's as the player characters- more on that later) piloting a glider, a small plane, and a jetpack. All three, as you'd expect, control quite differently, and as the game progresses you'll find some variations to play around with as well- the plane, for example, changes and becomes a jet. If however, you're expecting some sort of varied mission types and bonus stuff to go along with that- like skydiving or that odd helicopter mission from the original -you're gonna be sad. Very, very, sad. In fact, even if you're just looking for the differing locations of Pilotwings 64, you're gonna be sad. And that's because there's only one 'play area', and quite frankly, there just isn't all that much to do on Wuhu Island. 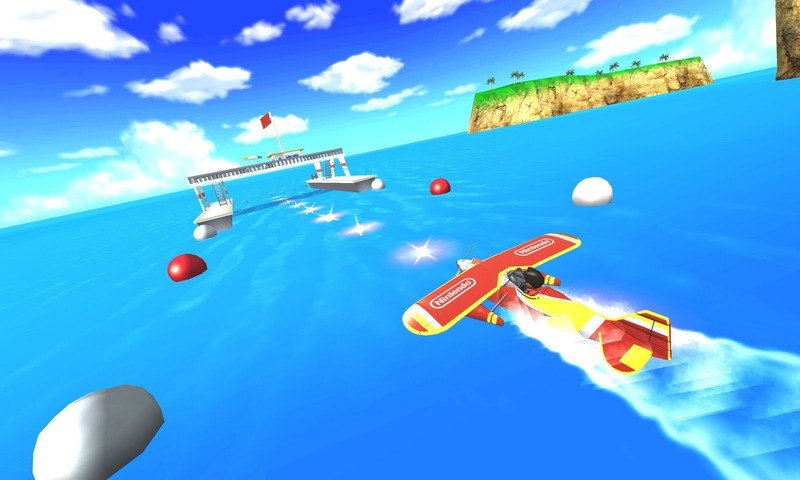 Yes, Pilotwings Resort is based on the same island that Wii Sports Resort is. And apparently that volcano isn't active because the island didn't get any bigger this time around. It's stunningly small with no difference in terrain or special unlockable areas to explore. What you see is pretty much what you get right from the jump- and that's a major detraction to the game's merit because at first glance it essentially seems like an overblown tech demo. It doesn't even have a special 'feel' to it since, again, it uses your Mii as the controllable character. That's a problem in and of itself for me. 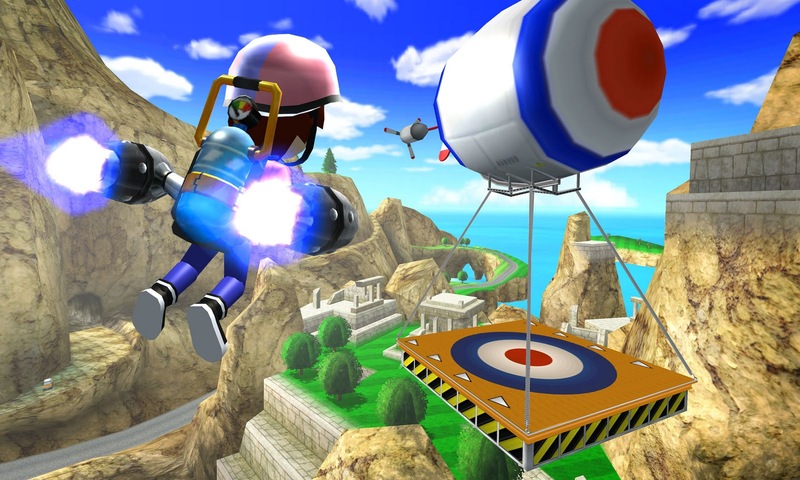 The Mii's are relatively generic by nature and really don't add all that much to the Pilotwings experience. And even though there aren't any 'name' characters to the series, it just seems lazy to me that Nintendo couldn't come up with a more interesting choice as an on-screen avatar than just using the Mii's. Anyway... /end rant. Pilotwings Resort actually does have some things going for it so I don't want to pile on too much. PR has one big plus that needs to be in front for everybody reading this and that's that the flying is fun. It's true that the bells and whistles are almost non-existent, but the overall ease of play almost makes the game an enjoyable enough diversion to warrant the price of admission all by itself. Seriously, even if you've never played a flight sim in your life, you'll more than likely not only be able to play PR, but you might just find you're pretty good at! Lets be honest, it ain't Jane's, but then again it's not trying to be. Resort is a simplified jaunt through a cartoony island where spot-on flight physics aren't exactly the goal. And it succeeds there. There are also a bunch of collectibles scattered about the landscape that you may or may not care about finding and the music is nice and calming. That's very good by the way. Oh, and I saved the best for last- the graphics. Graphically, Pilotwings Resort is excellent. The vehicles look great, the island looks awesome, the day/night cycle is beautiful, the Mii's are... um... the 3D is spectacular. Seriously, out of everything I've played so far on the console, I'd put this just ahead of Super Street Fighter IV in terms of sheer 3D awe. It looks great. Period. 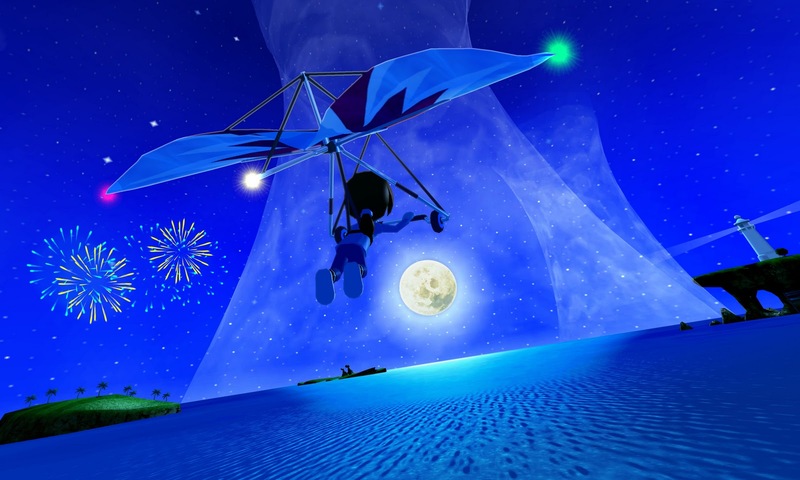 So, I guess Pilotwings Resort could actually be a tech demo. But if that's the case then it's one that has the capability of lending itself to a really fun little afternoon, but probably isn't something that'll keep you coming back again and again.